JAKARTA (Reuters) - Indonesia's Lion Air is considering cancelling orders for Boeing Co <BA.N> 737 MAX jets following a crash that killed 189 people in October but has not yet made a decision, the airline's CEO Edward Sirait said on Thursday. Sirait told a briefing that Lion Air was examining the legality of cancelling orders but had not yet communicated with the manufacturer about the prospect. The airline has 190 Boeing jets worth $22 billion (17.29 billion pounds) at list prices waiting to be delivered, on top of 197 already taken, making it one of the largest U.S. export customers. Reuters on Monday reported Lion Air was reviewing Boeing airplane purchases and had not ruled out cancelling orders as relations worsen in a spat over responsibility for the crash, according to sources. Any cancellation of orders would need to be approved by the airline's co-founders and co-owners, Rusdi Kirana and his brother Kusnan Kirana. Rusdi Kirana ordered a review of airline purchases in response to Boeing's statement last week focussing attention on piloting and maintenance topics related to the crash, Reuters reported on Monday. 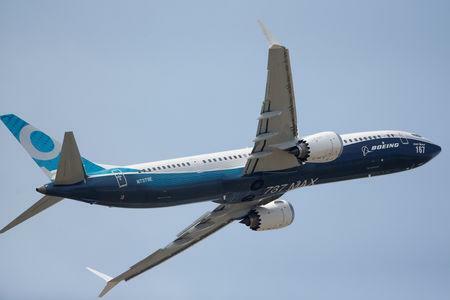 Boeing declined to comment on contractual matters but industry sources say aerospace companies rarely leave room for unilateral cancellations except in exceptional circumstances. Bankers and some analysts say Lion Air and Southeast Asian rivals over-expanded and would be comfortable with fewer orders. Lion Air, as a private company, does not publicly disclose information about its financial position. Loss-making national carrier Garuda Indonesia <GIAA.JK> has reported pressure from higher oil prices and a weaker currency.